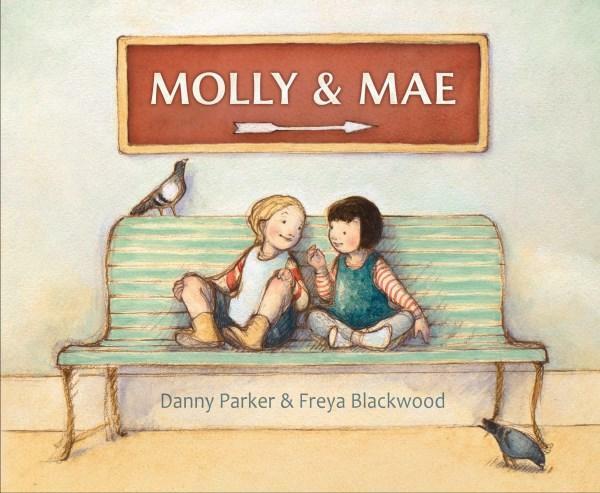 This gentle picture book tells the story of two lively girls, Molly and Mae, who are about to embark on a train trip with family. They have a long day of travel ahead, and the girls busily find games to play, first throughout the station and then the cabin, occasionally managing to get into trouble. The girls’ journey is paralleled in the illustrations by familiar elements of travel, such as timetables and signage along the way. We share the girls’ mercurial imaginings and see their close friendship. When they have a minor falling-out, the station signs are used to add layers of meaning to scenes. Blackwood’s illustrations – a mix of oil paint and printing on watercolour paper – have a raw yet delicate quality. Her recognisable sketch lines and subtle details provide plenty to delight the eye. The use of sepia tones and hazy visions of countryside from the train window evoke a sense of nostalgia or a tale told from memory, while the sometimes-bumpy journey of Molly and Mae’s friendship is contrasted by the straightforwardness of a journey by rail. The use of signs and symbols, scenes from the journey, and the simple but central storyline, enables a multilayered reading experience. The girls must learn to solve their own problems as the day goes on. The illustrations give a sense of increasing richness and complexity as the journey progresses, also suggesting change and growth. The promise of new experiences is evoked by the final pages and endpapers, which, in contrast to the journey’s start, show their arrival in the atmospheric city station and the vision of a dramatic skyline. 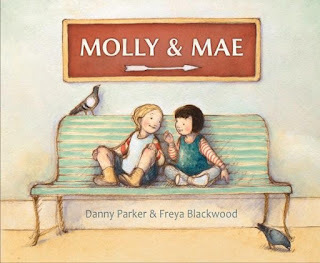 Molly & Mae could be a good book for children to enjoy in anticipation of a trip, or just to prompt dreams about possibilities. Budding trainspotters will enjoy the trains and railway paraphernalia. The story’s message about friendship – its ups and downs, but ultimate benefits – should also resonate for readers of all ages.